How to maximize your diversity points profit. To increase dp easily, plant a ton of grass (it spreads, so be careful). Then place a reasonably sized population of sheep in the same area. Grass and sheep are the cheapest species in the game, and sheep produce dp. Grass can grow virtually anywhere and it has no dependencies. Sheep eat very little grass and produce dp. This same concept can be applied to other species that don't require much (the basic animal species of each biome). Oak trees are another good dp producer, as they also have very few requirements (in my experience, they don't seem to care much about population density, either). Lower chance of failure (diseased organisms can't spread sickness, the biome dying out early is more difficult). Growing organisms to transplant to other biomes for their evolution (like growing pink Red Mushrooms in a swamp and then transplanting to lush for Tall Mushrooms). Separate grassland biome with wheat and stones for chickens (which don't like trees). 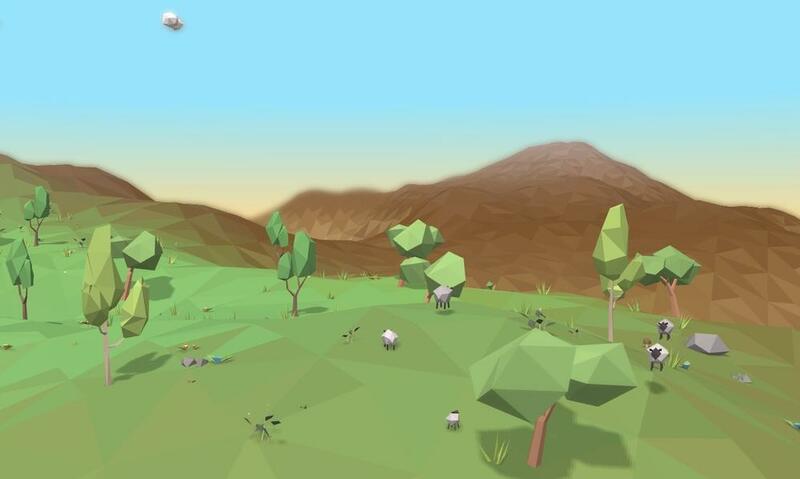 Grassland biome with flowers, trees, and sheep. For Diversity Points, though, increasing the number of living things in the world is always good. The higher tier a species is, the better. 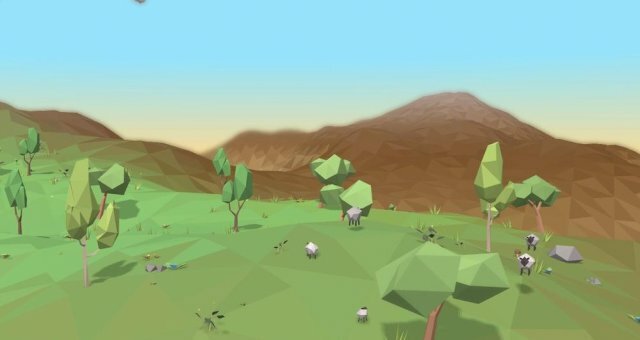 Tying back to the original point about cheap animals, if you have a duplicate biome you can essentially farm dp by putting the less expensive creatures there and having another for the higher-tier animals, without causing too high a population density (and in case you need a biome with/without predators). Now, on to repeatable tasks. Some tasks in Equilinox can be repeated for dp gains. You can view these in the task pane under "repeatable tasks." For this guide, I'll focus on the task "An Apple Every Day." Make sure you have a lot of dp before attempting this! Once you have a forest biome, plant several apple trees (the more the better, because this task depends on fruit production). Then go to the DNA Tab (Traits) and modify the productivity (the lower the base productivity is, the cheaper the increase). I went up to 29% on the first tree and 12% on the second for the first generation. Then click the "selective breed" button. Here, you can fast-forward if you want, or wait it out, but once they have offspring (and you have more dp) repeat the above process on as many trees as you can and press selective breed (for the most productive trees). Over generations, 1 to 30% increases add up. Soon, the reward for "An Apple Every Day" will be automatically collected several times per minute (with fast-forward). If you continue to selectively breed trees, you can further increase their productivity (personally, I modified the color so that they would be easier to keep track of). Personal Stats: 1.39-1.47 productivity (4-6 trees) led to the task's completion roughly every minute and a half (no fast-forward). This method can be used for all fruit/vegetable/productivity-based repeating tasks. Literally just leave the game running overnight if you feel confident nothing will happen to your world. You'll rack up a ton of dp, especially with a high dp/min rate. I only tested this for 2 hours and ended up with over one million dp (60-or-so% game completion).